SS Estrellano (1910-1917) SS Estrellano was a British cargo vessel built in 1910 by Ramage & Ferguson Ltd., Leith. 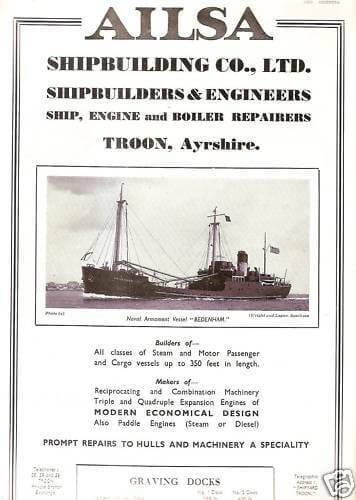 In 1917, at the time she was lost, the steamer of 1,161 tonnes was owned by Ellerman Lines Ltd., Liverpool. 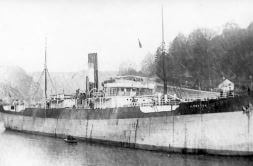 SS Sapele (1904-1917) SS Sapele was a British cargo ship built in 1904. 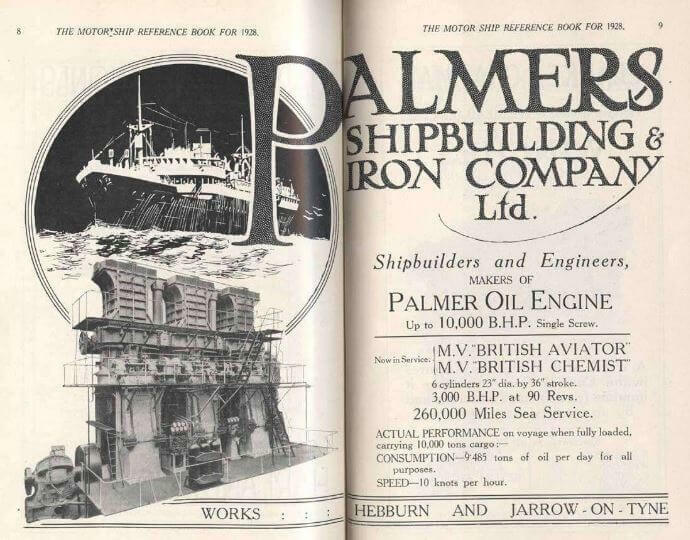 The steamer was built by Palmer’s Shipbuilding & Iron Co. Ltd. in Newcastle-Upon-Tyne and at the time of her loss a century ago, she was owned by the Elder Dempster Lines Ltd., Liverpool. SS Ilderton (1903-1917) British cargo vessel, SS Ilderton, was built in 1903 by Ropner Shipbuilding & Repairing Co., Stockton-On-Tees. At the time she was lost, during WW1, the Ilderton was owned by Steel, Young & Co., London. 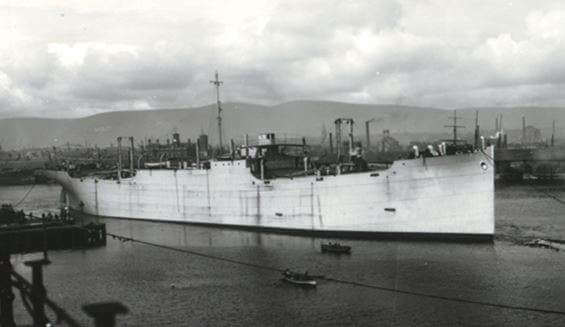 SS War Clover (1917-1917) The steam ship War Clover was a British cargo vessel built in 1917 by Harland & Wolff Ltd., Belfast. 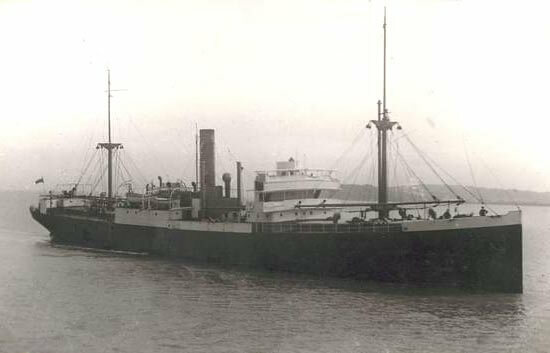 At the time of her loss during WW1, War Clover was owned by The Shipping Controller, London. The Chief Executive of the Shipwrecked Mariners’ Society, Commodore Malcolm Williams, has spoken to BBC Radio Sussex about the unfortunate cancellation of the service to recognise the sacrifice of the Merchant Navy, planned for Tuesday 17 October. 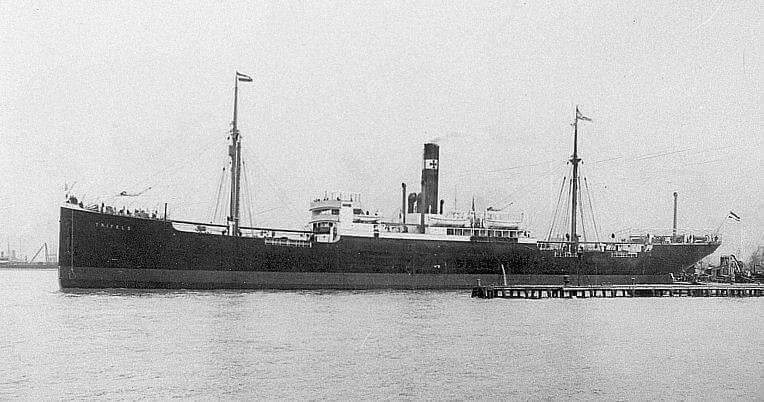 SS Polvena 1904-1917 British cargo vessel, SS Polvena, was built in 1904 by J. C. Tecklenborg, Geestemünde. At the time of her loss, the Polvena was owned by J. Herron & Co., Liverpool. Society’s Silver Medal and Aneroid Barometer to James, Mace of the smack Acceptor of Grimsby, for rescuing the Captain and 18 crew of the Samarang of Newcastle ‘waterlogged’off the Dogger Bank on 15th October 1881. Silver Medals and pecuniary award was also made to James Jamieson, the apprentice. SS W. M. Barkley (1898-1917) W. M. Barkley was a British cargo ship that was built in 1898 by the Ailsa Shipbuilding Co. Ltd., Troon. At the time of her loss a century ago, she was owned by Guinness A. Son & Co. Ltd., Dublin.